The winner of the authentic Hawaiian quilt is Gwendolyn W. of West Virginia. Congratulations! 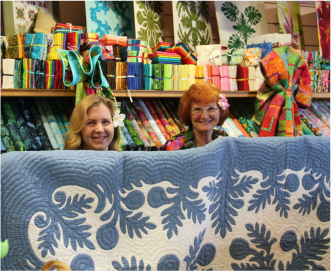 Thank you to everyone who participated in Wanda & Jeans Hawaiian Quilt Giveaway. ​If you'd like to stay up-to-date on all of the latest and greatest in Amish fiction, including news and information about Wanda E. Brunstetter, please subscribe to Barbour Publishing's news updates using the form below. You may unsubscribe at any time. Permission: By submitting your email address, you understand that you may receive commercial email communications from Barbour Publishing and that you may unsubscribe at any time. Click here to learn more.